Swimming is children’s favorite thing. No matter how you want to pee, you will hold your water. The entirely release until unbearable moment. At this moment, you are just like in Heaven. We use this concept to accomplish this product. Now, you are going to recall something when you have a cup of tea. Twist and then pull the two parts apart. Put tea leaves, herbs or fruit into container then lock. 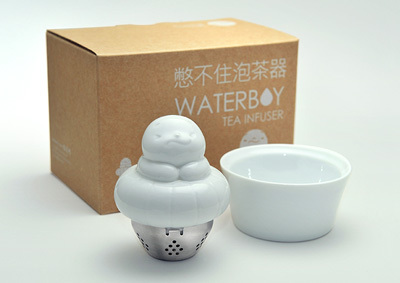 You could get a cup of tea when the tea infuser is soaked in a cup of water.